Arup is an independent firm of designers, planners, engineers, consultants and technical specialists, offering a broad range of professional services through which we make a positive difference in the world. Arup have been involved with many projects that have helped shape Nottingham over the last four decades; including landmark developments and sustainable regeneration. Our Nottingham office brings together broad-minded individuals from diverse disciplines, looking beyond their own specialisms, offering global expertise to local projects and clients. Local projects include the Inland Revenue Buildings, Old Market Square redevelopment, Newton and Arkwright Buildings at Nottingham Trent University, M1 widening, Nottingham Contemporary, floodlighting at Trent Bridge, University of Nottingham Jubilee Campus, National College for School Leaders, expansion of East Midlands airport and Nottingham Ice Arena amongst many others. 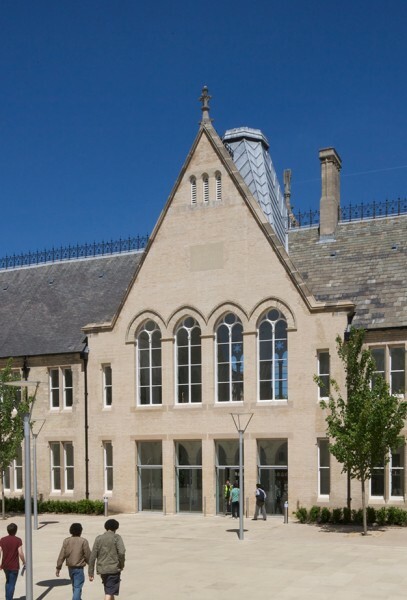 Arup’s contribution was invaluable in getting the right balance between keeping the most remarkable original features of the buildings while providing the 21st Century facilities required by a forward-thinking university"